In a packed poster session where Jon had to stay clear to make room for all the interested visitors, Lia Howard presented her on-going senior honors thesis work to the masses of the American Geophysical Union in San Francisco, California. 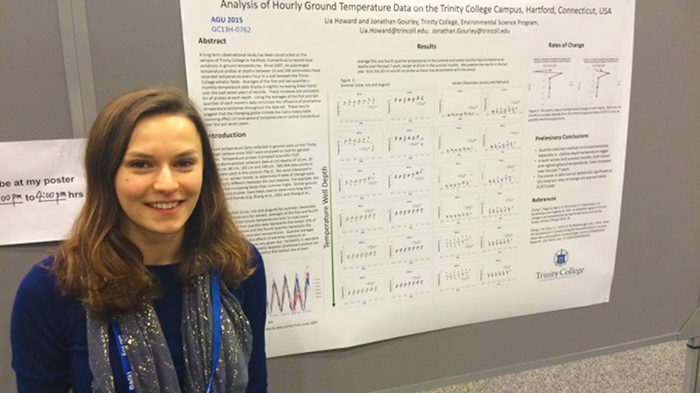 Her poster entitled, “Analysis of hourly temperature ground data on the Trinity College Campus, Hartford, Connecticut USA” was part of the “Global Environmental Change” theme session that focused on quantifying temperature change distributions. Lia showed how the temperature probes, which are located in a well between the soccer and football fields, measured an increase over a seven year span of approximately 0.25⁰C/year. Lia received some excellent feedback on her work and will be exploring some suggested statistical tools that could be used to the over 300,000 temperature recordings from the well. Professors Morrison and Geiss met yesterday and hashed out a tentative itinerary for our upcoming trip to Utah. It will include two days in Arches National Park, hikes across slickrock landscapes, a two-day rafting adventure through Westwater Canyon and so much more that we don’t want to tell you yet. Yes, we will be camping in some awesome spots. Yes, we will have great food. Everything else – we’ll see. 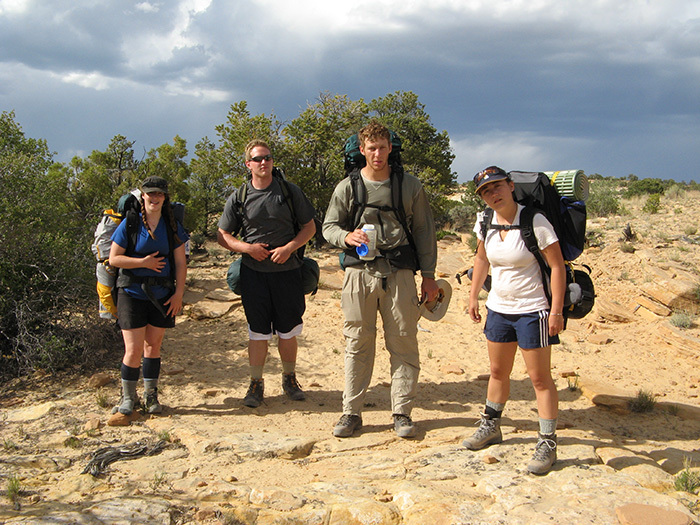 To go on the trip send a brief e-mail to Christoph Geiss telling us why you want to go and why we should take you.